This post is part of the Urban Affairs Forum Local Elections Scholars Series. If you are interested in writing about local elections in the places you live or study, contact Mirya Holman at mholman@tulane.edu. The diversity of political candidates across the states is becoming evident with each election cycle, particularly at the local level. More women of color and LGBTQ+ candidates are not only leading strong competitive campaigns, but also winning office with progressive platforms. In 2017, for example, nine openly transgender candidates won elections mostly at the local level: four in city councils and two in school boards. Minneapolis elected two transgender council members – Andrea Jenkins and Phillipe Cunningham – making them the first out transgender black woman and first out transgender black man elected to public office in U.S. history. These victories also include Danica Roem’s, a former thrash metal musician and journalist, who defeated 13-term incumbent Bob Marshall in the Virginia House of Delegates. Marshall, a Republican, had a strong anti-LGBTQ and anti-woman track record in the state including filling a discriminatory transgender bathroom bill. This 2018 midterm election cycle is marked by the strength and presence of women of color. Among the most prominent victories is that of Alexandria Ocasio-Cortez who defeated Rep. John Crowley, the chairman of the House Democratic Caucus, in New York’s 14th Congressional district primaries. Her victory forced the Democratic Party to address the continued relevance of the progressive agenda. Georgia’s gubernatorial race has also captured national attention. Stacey Abrams, running on a progressive platform, is facing off against Trump-endorsed Secretary of State Brian Kemp. 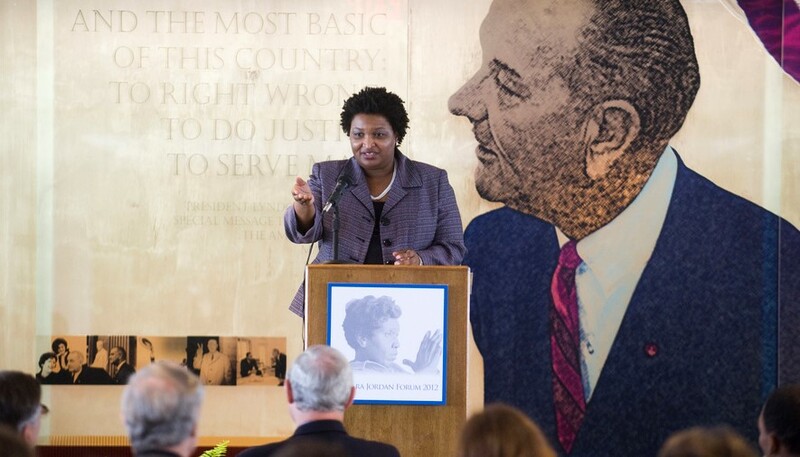 An Abrams victory would make her the first Black woman elected governor in U.S. history. Black women have increasingly played critical roles at the local level. According to the Center for American Women and Politics, there are currently seven Black female mayors among the 100 largest cities in the U.S., including two in Louisiana (LaToya Cantrell in New Orleans, Sharon Weston Broome in Baton Rouge). Asian and Latina women, however, tend to have a larger presence in state legislatures. Native American women show the lowest levels of office holding, with only nine state legislators across the nation. These progressive candidates were supported by a diverse constituency affected by draconian policy schemes targeting minority populations (e.g. the transgender bathroom bills in Virginia, rolling back of womens’ reproductive rights, voter ID laws). Minority populations continue to be central targets for discriminatory and punitive policy schemes. Deepening our analyses of these populations will enhance our understanding of how these policies are affecting political participation among these groups. When it comes to voter registration, only 42% of LGBTQ+ people in the sample indicated they were registered compared to 61% of heterosexuals. An important difference given that both populations indicated being U.S. born at similar rates (75% heterosexuals, 78% LGBTQ). Data from the Collaborative Multiracial Post-Election Survey (CMPS) (N= 10,145) fielded between December 2016 and February 2017 provides important insights into the political lives of LGBTQ+ people of color across the states. This survey includes large samples of Blacks (N=3,102), Latinxs (N=3,003), Asians (3,006), and a small sample of non-Hispanic whites (N=1,034). When asked about their main reason for not registering to vote, respondents of all groups indicated disinterest. An important number of respondents said they were not eligible to register. Fifteen percent of those not being eligible to register to vote are U.S born citizens. Interestingly, 68% of those that indicated they were not eligible lived in counties in metro areas of 1 million population or more. However, there is no way to ascertain the particular reason for losing eligibility among these survey respondents. The CMPS also asks participants about their interest in politics. Data show distrust in politicians as strong motivation for disinterest in politics across sexual and gender minority status, although heterosexuals indicated higher levels of distrust overall. Over a third of LGBTQ+ respondents indicated politics were too complicated, compared to only 29% of heterosexuals. Interestingly, 22% of LGBTQ+ respondents did not believe politics affected their personal lives, compared to only 14% of heterosexuals that felt the same. Although only 17% of LGBTQ+ respondents believed the system is not responsive to people like them, almost a quarter of heterosexual respondents indicated this as a reason for their disinterest in politics. This data provides insights into areas of intervention to increase the political participation of LGBTQ+ people of color. Given the complexities and overlapping nature of systems of power driving the political processes of the American state, a multi-pronged approach that includes political empowerment and electoral engagement are necessary for creating positive change for marginalized populations. Removing barriers to electoral participation can provide an additional mechanism for LGBTQ+ people of color to intervene in politics that increasingly regulate and criminalize LGBTQ+ lives. Moreover, the high levels of distrust in politicians and belief in an unresponsive government, provide emerging labor-community campaigns the opportunity to engage communities of color in pushing for radical systemic change. According to CMPS data, 15% of LGBTQ+ respondents did not identify with the conservative-liberal continuum. LGBTQ+ Latinxs are also more apt to participate in non-electoral political activities such as boycotts and signing of petitions than their heterosexual counterparts. These dynamics are especially relevant as intersectional grassroot LGBTQ+ mobilizations continue to grow in strength, they not only challenge multiple policy regimes but also contribute to the formation of minority group coalitions across the states. Melina Juárez Pérez is a Visiting Assistant Professor of Political Science at the University of Arkansas. Her work examines the political lives of minority populations through intersectional frameworks that center race and ethnicity, class, and gender & sexuality. Her work has been published in multiple venues such as Policy Studies Journal, Politics and Policy, and Journal of Ethnic and Migration Studies.